Hands are exposed to much more daily aggression than faces are, and really deserve special attention. They can be key beauty attributes, and need to be pampered all year long. Reach for this comforting, non-greasy, melt-in cream at any time of the day, to provide the hands with the moisture and nutrition they need, soften the cuticles and strengthen the nails. It protects the skin against daily aggression with a formula that has been specifically tested under cold conditions to intensely nourish the most dried out and weakened hands during the winter. Immediately comforted, the hands are soft, supple and lastingly protected! 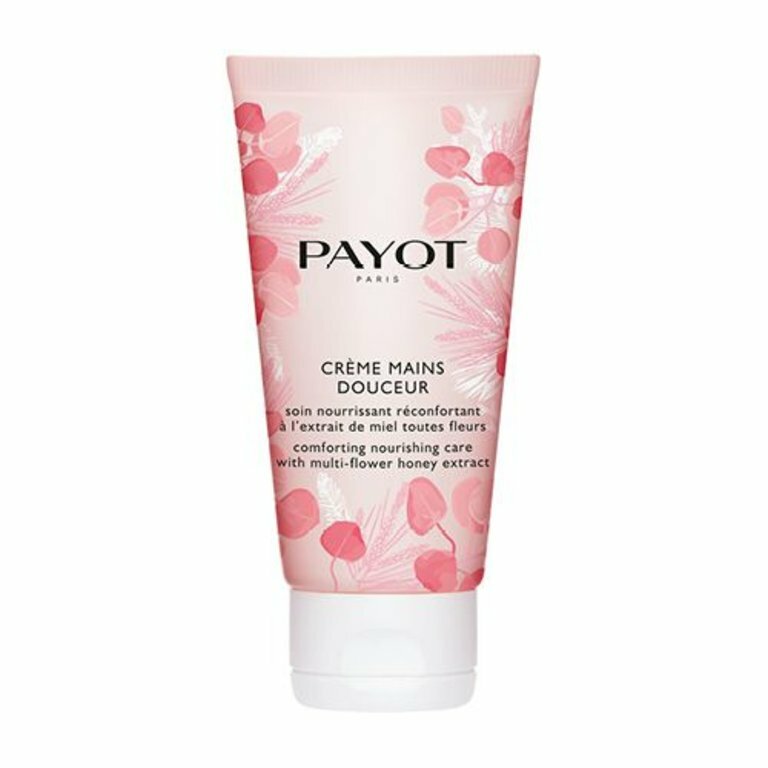 Its smooth creamy texture with a powdery finish melts onto the skin and is instantly absorbed, leaving the hands feeling velvety with no greasy film. Its delicate scent of lotus flower and cedar notes lingers on the skin and envelops it in a veil of softness. Apply to the hands throughout the day, as often as needed.